Chandi Devi Temple, Haridwar is a Hindu temple dedicated to Goddess Chandi Devi in the holy city of Haridwar in the Uttarakhand state of India. The temple is situated atop the Neel Parvat on the Eastern summit of the Sivalik Hills, the southernmost mountain chain of the Himalayas. Chandi Devi Temple was built in 1929 by Suchat Singh in his reign as the King of Kashmir. However, the main murti of Chandi Devi at the temple is said to have been installed in the 8th century by Adi Shankaracharya, one of the greatest priests of Hindu religion. 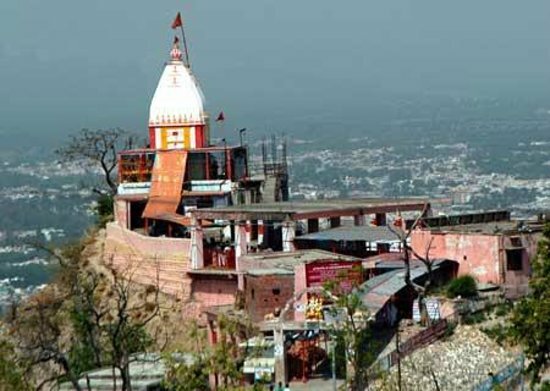 The temple also known as Neel Parvat Teerth is one of the Panch Tirth (Five Pilgrimages) located within Haridwar. Chandi Devi Temple is highly revered by devotees as a Siddh Peetha which is a place of worship where desires get fulfilled. It is one of three such Peethas located in Haridwar, the other two being Mansa Devi Temple and Maya Devi Temple. Goddess Chandi also known as Chandika is the presiding deity of the temple. The story of the origin of Chandika is as follows: Long time ago, the demon kings Shumbha and Nishumbha had captured the kingdom of the god-king of heaven - Indra and thrown the gods from Swarga (heaven). After intense prayers by the gods, Parvati assumed the form of Chandi, an exceptionally beautiful woman and amazed by her beauty, Shumbha desired to marry her. On being refused, Shumbha sent his demon chiefs Chanda and Munda to kill her. They were killed by goddess Chamunda who originated out of Chandika's anger. Shumbha and Nishumbha then collectively tried to kill Chandika but were instead slain by the goddess. 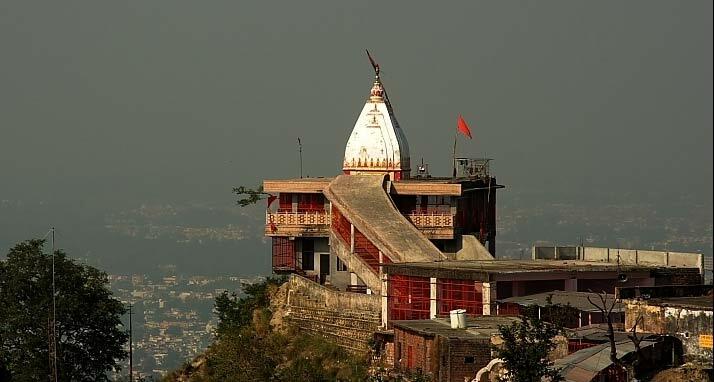 Thereafter, Chandika is said to have rested for a short while at the top of Neel Parvat and later a temple was built here to testify the legend. Also, the two peaks located in the mountain range are called Shumbha and Nishumbha. By Air: There are no regular flights from other major cities of the country to Haridwar. Nearest airport is Dehra Dun Airport. By Train: Haridwar is well connected to other major cities of the country via regular trains. By Road: You can easily get regular buses to Haridwar from other major cities of the country.